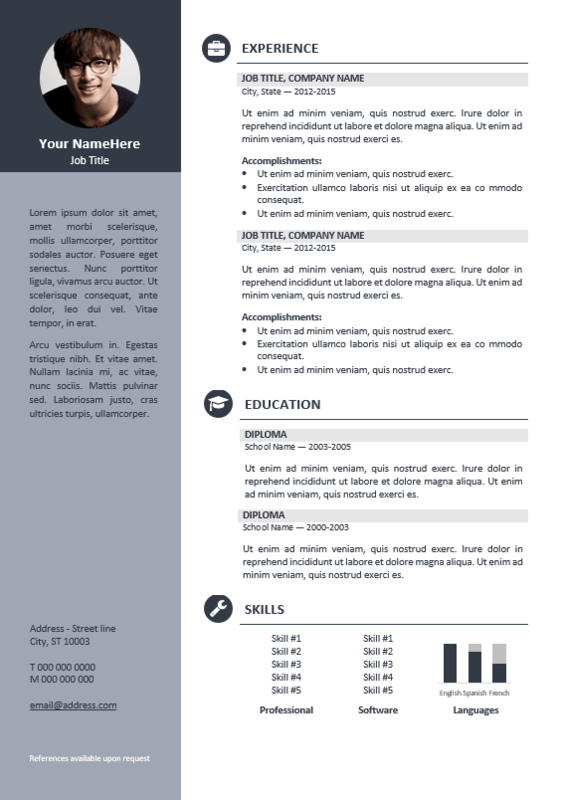 Orienta is a free professional and elegant resume template. 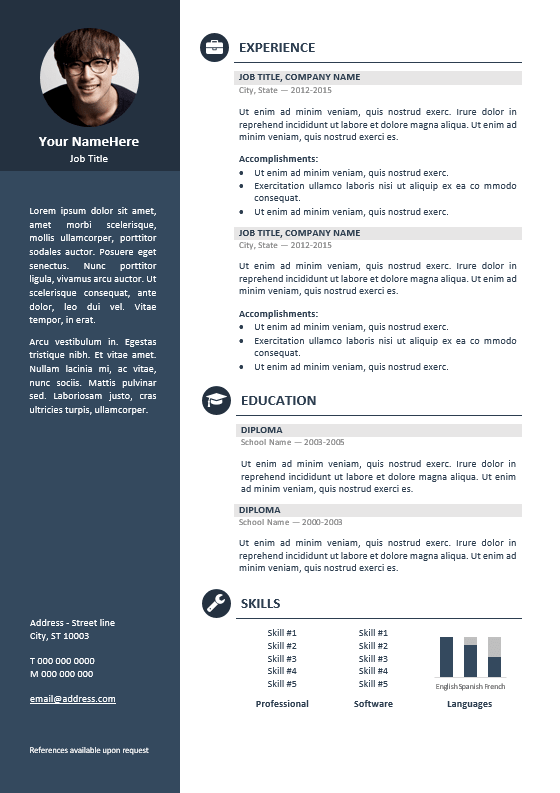 Crafted with care, neat design, this CV template uses a 2-column layout, and with a left colored sidebar. 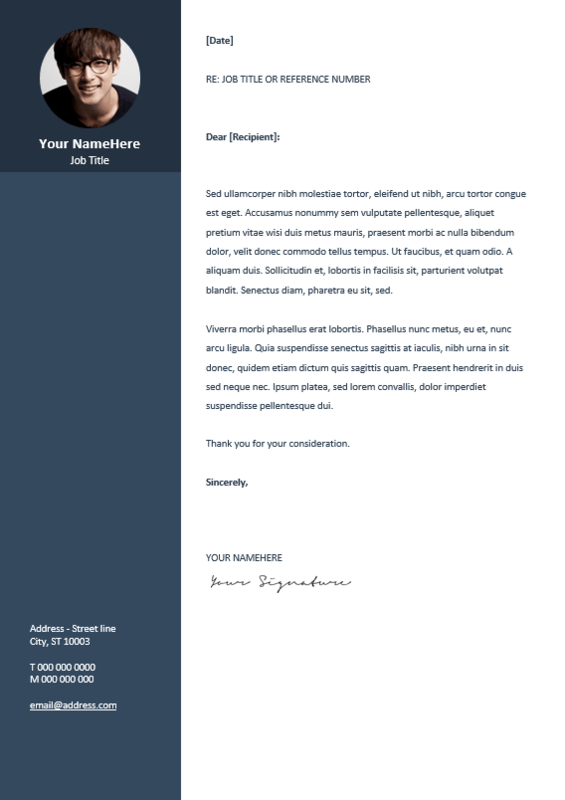 Includes cover letter templates. 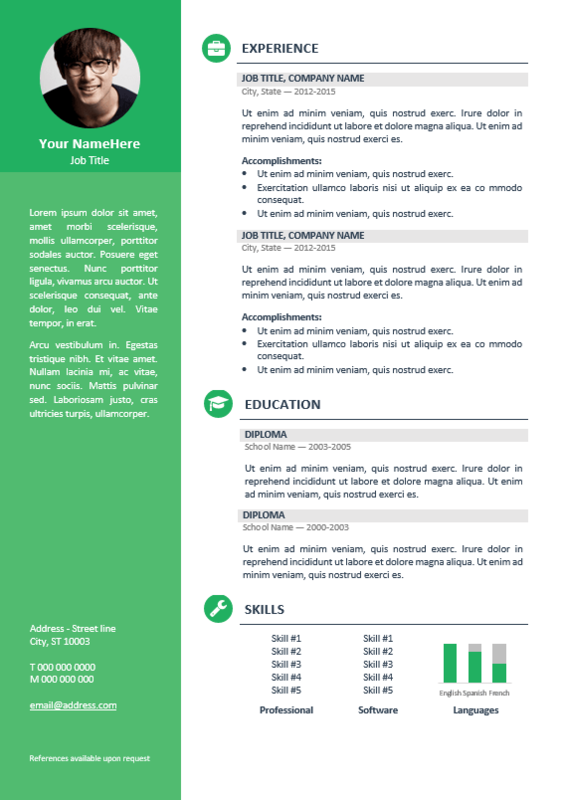 Free resume for Word with 3 color options: blue, gray and green. Well-organized, table-formatted*, this resume template is also very easy to edit and customize with MS Word. *Table-formatted: most of the templates you’ll find online (even the expensive ones) are merely built with text boxes and shapes. As each information length is different for everyone, it’s a nightmare to deal with when it comes to use the template with your own information. Tables, on the contrary, allow an easy and hassle-free customization, with no formatting or alignment issue. Tip: you could still edit very easily and customize the resume with your own colors if needed. 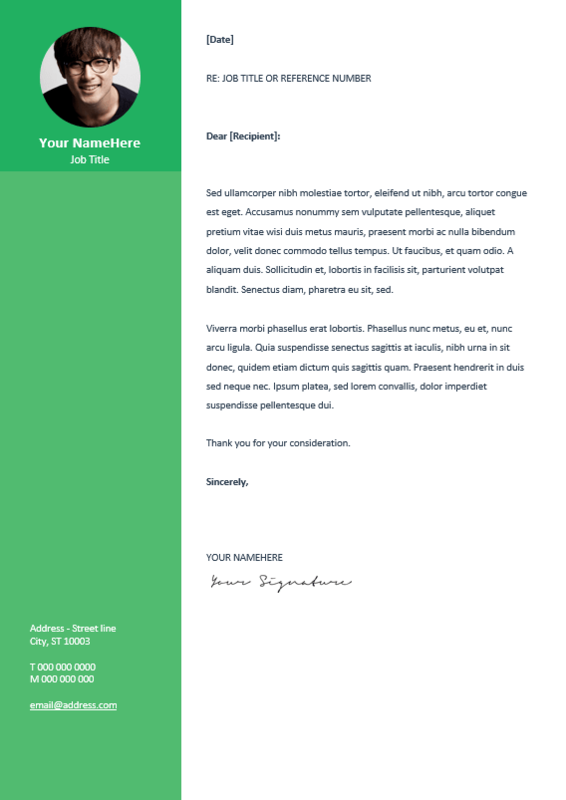 The package includes Microsoft Word files (.DOCX) in International A4 and US/Canada Letter sizes. You can also install and use the FontAwesome free font if you want to use different icons. 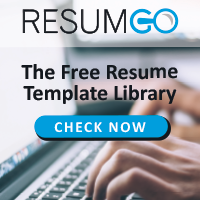 Download the Professional Resume Template for free! I like to say the editable cv formats are user friendly and flexible to use. GREAT job guys! Hi Ajulo, thanks for your comment and glad you like our templates! This template is well structured and easy to edit. It looks awesome! Thank you for sharing it free. Now a Days your resume should be creative as much as you are! It seems very genuine and creative. I am definitely going to use this template! Hey @Govind M, good choice! Thank you for using our templates. Hi Zirk! 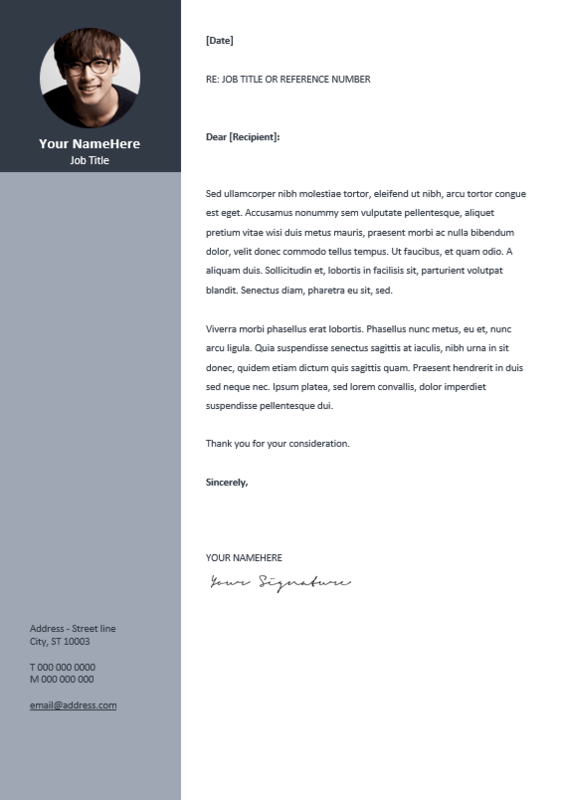 Thanks a lot for these very professional templates. I just wanted to clarify one thing. Should we include current job title under the picture or the one we are applying for? Looking forward to hear from you. Thanks again! Hi Faizan, good question. I’d say it depends if you already know and apply for a specific position – that could be different from your current one (then you’d probably better to specify this one…). But usually it tends to be your current position though. Perfect template! Just having trouble to replace the image. Seems i can not use the replace function. Hi Troublemaker (I did not say you were ;-)), to replace the photo, just right-click it, then in Format Picture, go to Fill, Picture or texture fill, and File… and select your ID photo. These are really cool cv templates! Thanks so much for the templates. Great site, professional designs. Hi, is there a 2-page version for this?